@yogthos Wow, this is great. I didn't know white dwarves explode, or that merging neutron stars create new elements. 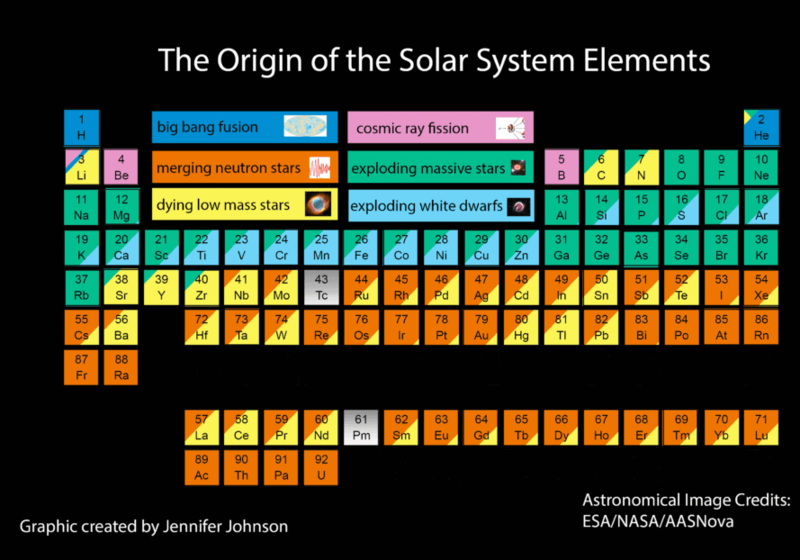 I thought all elements came from either normal fusion inside a star or from supernovae. @clacke yeah I don&apos;t think white dwarves have enough mass for a nova, they&apos;re already a byproduct of a star shedding outer layers themselves as I recall. So, probably a dwarf getting fed by a companion. @yogthos Yeah, from my understanding a white dwarf is just an inert hot cloud, just hanging there black-body-radiating until the end of time. @yogthos Brown dwarves are just too small to ever have initiated hydrogen fusion. White dwarves have run out of hydrogen, are made of collapsed electron degenerate matter(1) and have residual heat(0) from back when they were fusioning away. But they're not *doing* anything, they're just sitting there. (2) It's not just electrons, it's that electrons are there at all. This distinguishes them from neutron stars, or at least the core of neutron stars -- it's complicated, see Ethan Siegel's fascinating "How are neutron stars magnetic?" medium.com/starts-with-a-bang/… archive.is/1VF3z. Neutron stars also pretty much just hang around unless fed, but their structure and higher energy levels make them more interesting, and the article explains why something that sounds like it's just neutrons can be seen as pulsars (spoiler: not just neutrons).